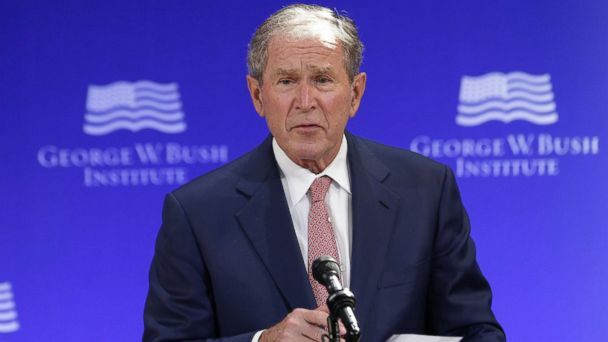 Follow the latest George W. Bush news, videos, and analysis from ABC News. 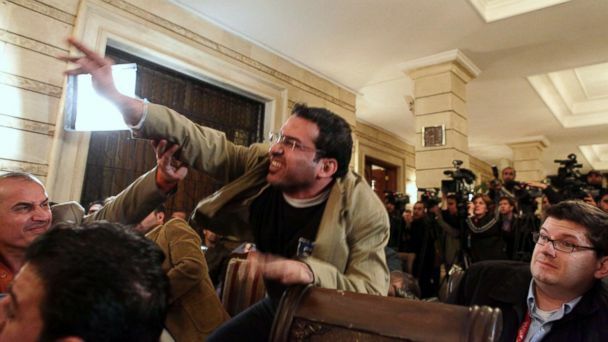 The journalist threw his shoes at the former president at a press conference in 2008. 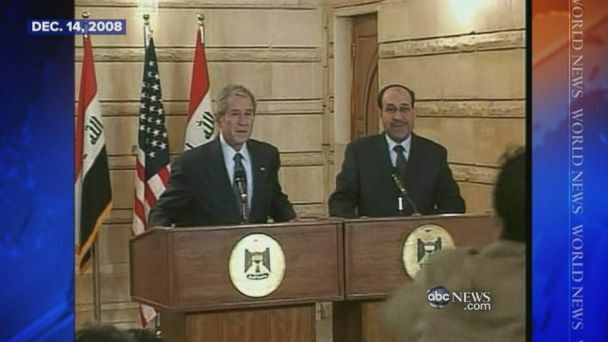 The incident occurred during a press conference with Bush and Iraqi Prime Minister Nouri al-Maliki. Jenna Hager Bush and Barbara Pierce Bush appeared on "The View" today to discuss their new book "Sisters First" and their family. 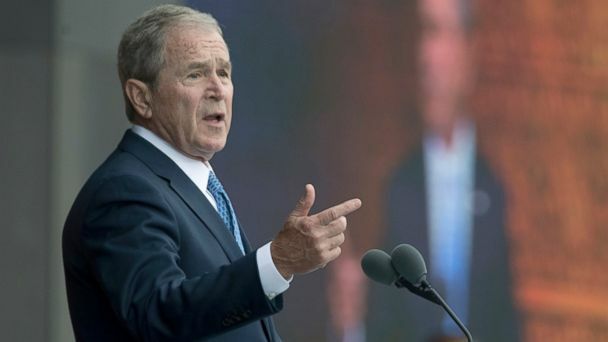 The former president rejected nativism and warned of a "crisis in confidence." 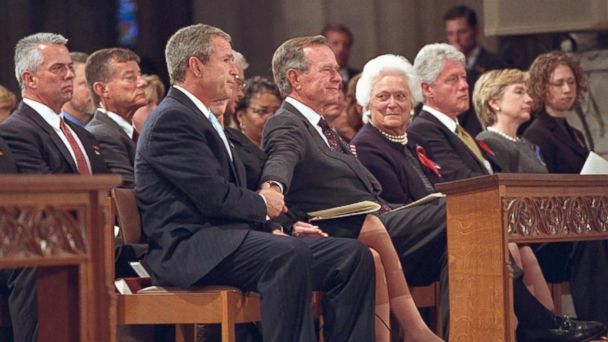 A look at Bush's first 100 days as president. 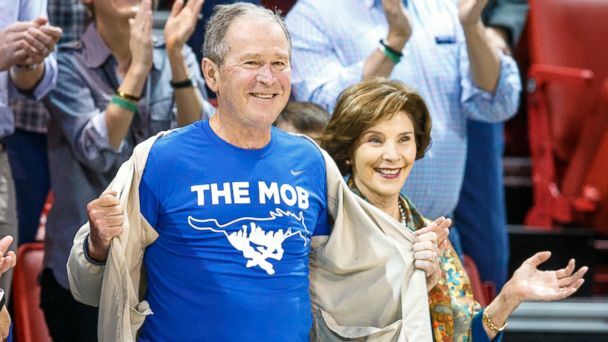 President Donald Trump may want to take a cue from one of his predecessors, George W. Bush, when it comes to lightening up. 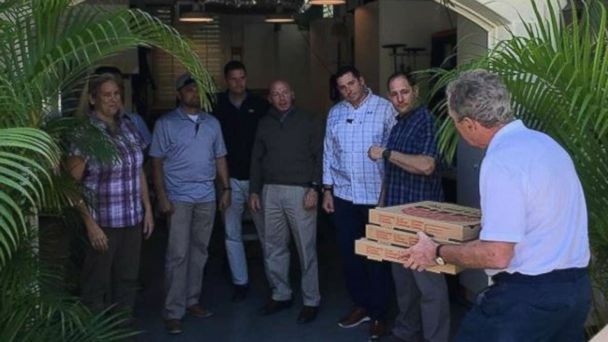 Bush, 70, is promoting his new book, "Portraits of Courage," a volume of his paintings of military veterans. 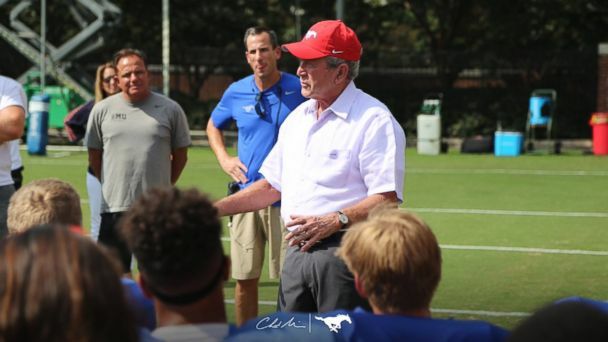 Former president doesn't like racism and name calling.